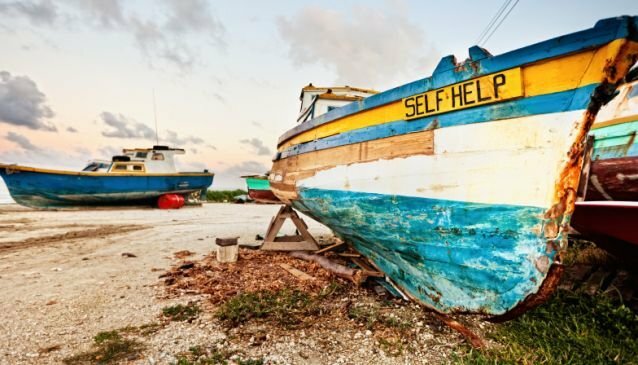 Four o'clock in the morning may be the dead of the night for most people, but for the Barbadian fisherman it is just the start of another day's work. 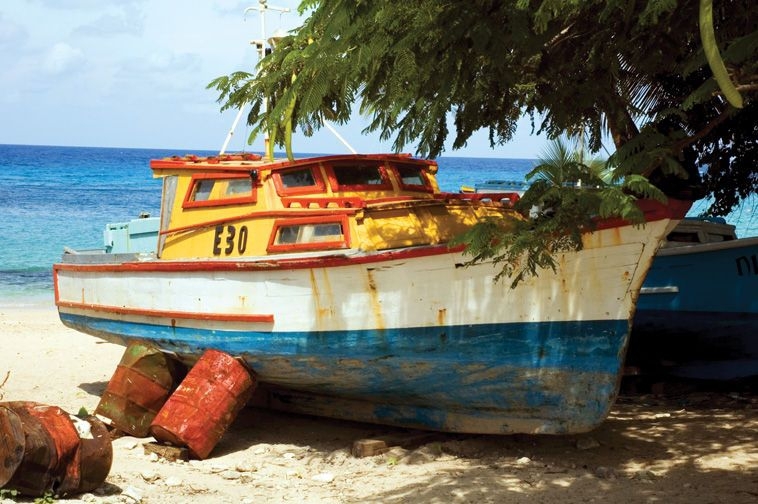 Working in the Barbados fishing industry requires a very early start. Once the equipment and supplies have been loaded, the boats motor out into the darkness, setting course for the day's chosen fishing grounds in search of shoals of flying-fish. On the way they will often put out some trolling lines to try to catch bigger fish like dorado, kingfish or billfish. With the radio tuned to channel 16, the fishermen can give and receive information about weather conditions and their relative positions. By the time the boats reach their first destination, dawn is about to break and there is now enough light to get the nets ready. It is also a good opportunity to eat some breakfast and prepare a meal for later in the day. 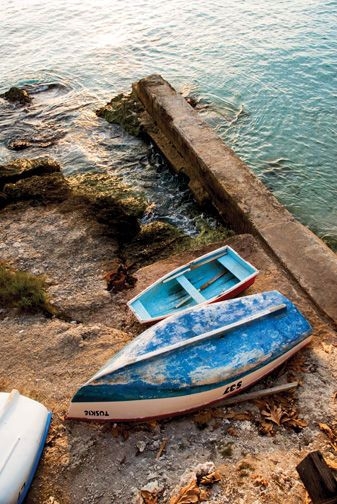 As the sun rises, the boats are drifting and bundles of cane trash and palm fronds have been dropped into the sea. The shade provided by these ‘screelers’ encourages the fish to congregate, while others are attracted by baskets which gradually release bait into the water. Once sufficient flying-fish have gathered in the area, the ‘gill nets’ are set. Hauling these nets is very hard work indeed and the men have to be strong and sturdy. On the surface the fish can be scooped up with ‘dip nets’. 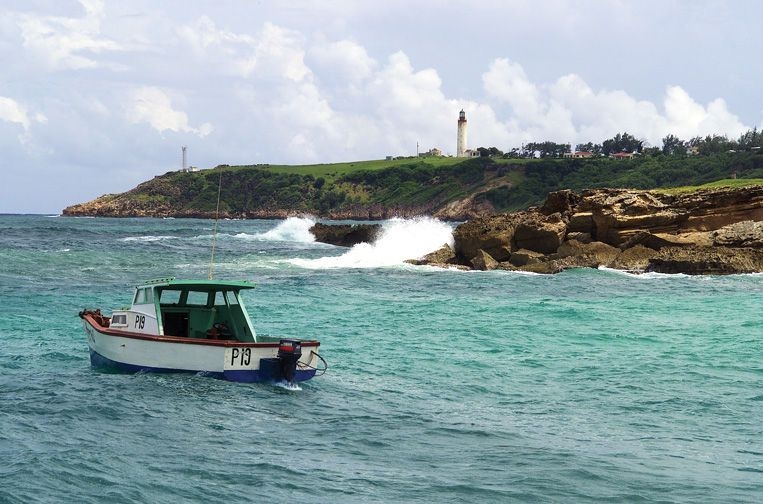 While the boat is drifting, the men will also drop ‘lurk lines’ to catch bigger fish and if there are lots of dolphin about they will even use several short, hand-lines. The nets and lines are worked throughout the day, keeping the fishermen busy and allowing them only brief respite in the shade of the cabin. 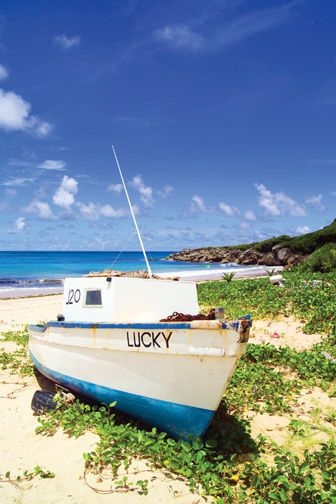 It is this cabin - located amidship - , the steering tiller and the brightly painted appearance that make the Barbadian ‘launch’ so distinct and instantly recognizable. 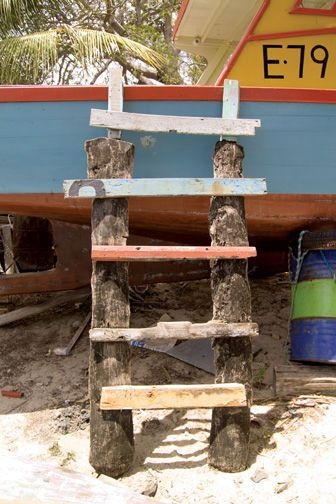 The brilliant colours of the day-boats serve both as decoration and as a means of making them easier to spot should they ever be lost at sea. By late afternoon, it is time for the launches to return to shore and deliver their day's catch to the vendors at the market. Ice Boats - as the name implies -, are offshore vessels equipped with insulated ice-holds, and are of the same basic design as the day-boats, but they tend to be bigger. The ice-holds thus allow them to stay at sea for several days at a time and consequently they are also fitted out with navigational equipment and modern radio communications. The launches and ice-boats are at their busiest during the main fishing season, from October of one year to the July of the next. This is the period when the pelagic fish (fish which live close to the surface) are passing through the waters of the Eastern Caribbean. 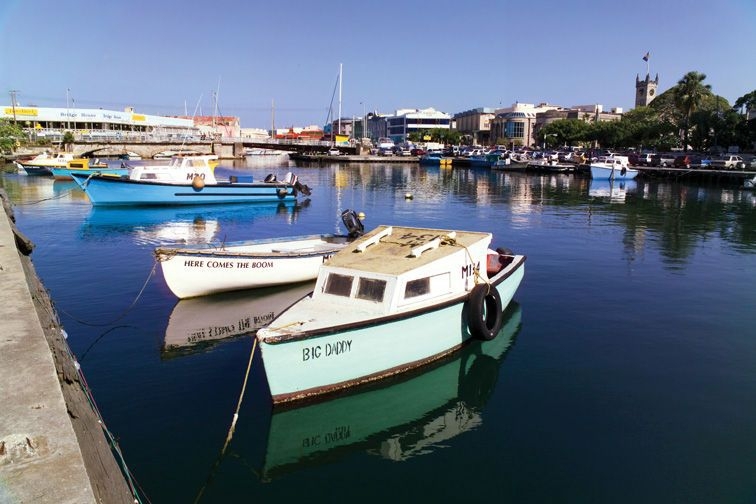 These fish are the mainstay of the local fishing industry with flying fish (70%) and dolphin (25% - not the type of dolphin you may be thinking of) comprising the vast bulk of the annual total catch. These fish are a huge part of Bajan cuisine. 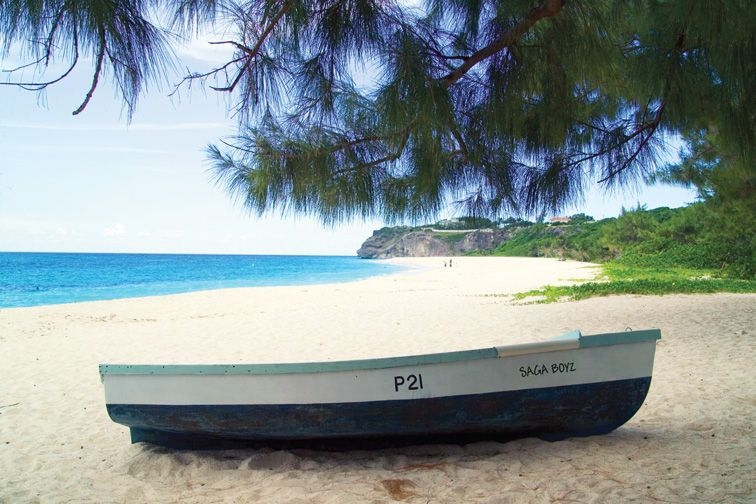 Out of season, which is basically the summer months when the bigger fish of Barbados have migrated, the launches are limited to reef fishing. The slopes and banks of the offshore reef are good grounds for fishing for snapper (redfish) and grouper with hand lines, while pots and traps are set in the shallower waters of the inshore reef. 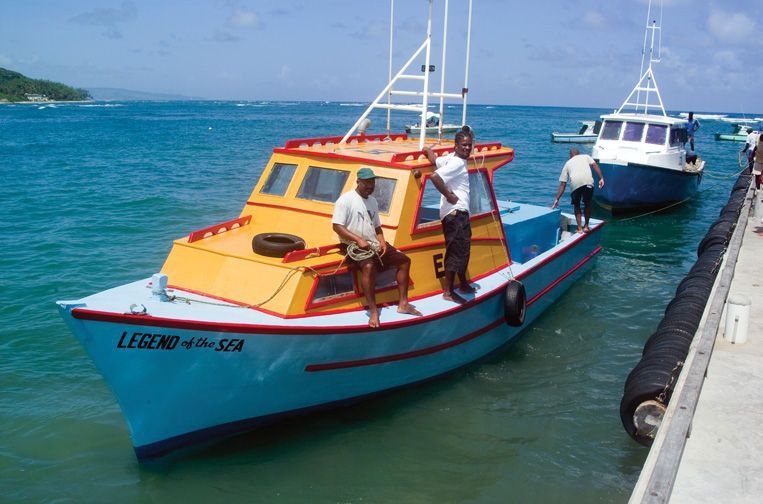 Smaller, open boats with outboard engines - known as ‘Moses’ - are frequently used for reef fishing. Very often the bigger boats will be hauled out of the water for repairs and maintenance in between the seasons. 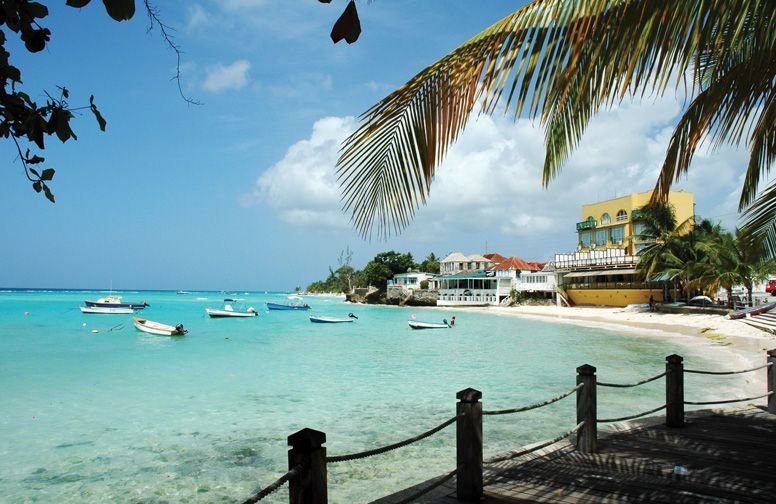 Occasionally in the months of August and September, the sea off the east coast of Barbados becomes unusually calm. On such days it is common to see a whole host of boats passing along the reef - setting pots or dropping off men who go spearfishing. The spear-fishermen also have to be physically tough and exceptionally strong swimmers - especially as for the most part they have to swim out to the reef, spend several hours spearfishing in rough seas, and then swim back ashore with their catch. 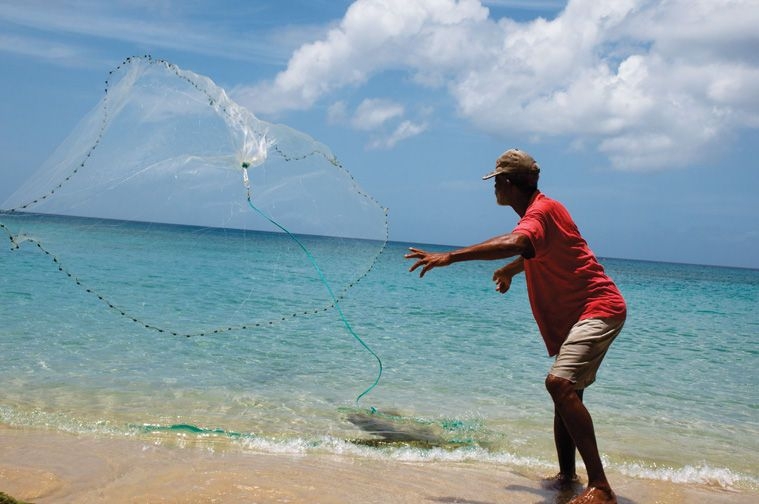 Whichever method he chooses to specialize in, the life of any Barbadian fisherman is not easy. The work is very physically demanding and he has to work long hours, often at risk to his own life. The financial gains are fair but not lucrative and, of course, somewhat unreliable due to the vagaries of the weather and the whims of the fish. 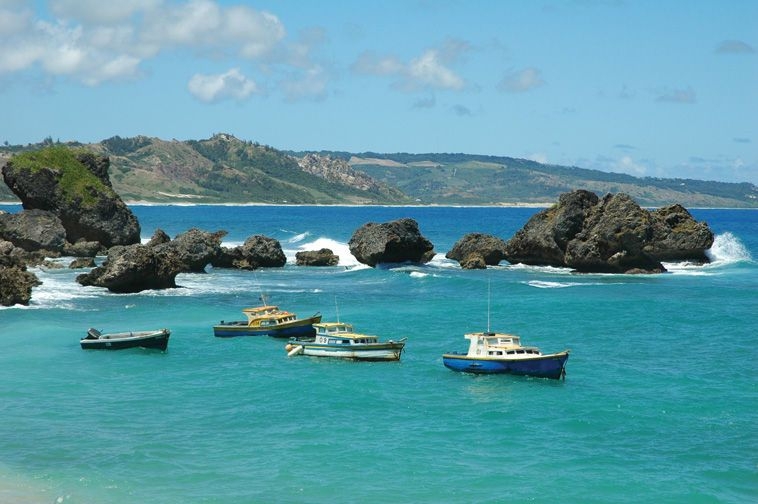 So whilst you enjoy the wonderful variety of delicious fish available in the markets and restaurants in Barbados, please spare an appreciative thought for the men who provide it... the fishermen of Barbados.